Product prices and availability are accurate as of 2019-04-13 15:10:54 EDT and are subject to change. Any price and availability information displayed on http://www.amazon.com/ at the time of purchase will apply to the purchase of this product. These are exactly the same as our famous collapsible shopping box bags, but even LARGER. 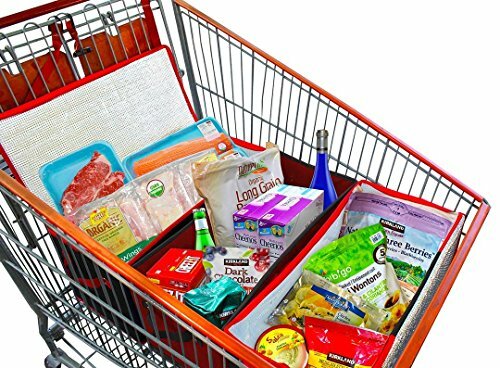 Here is an innovative design that combines the functionality of a box with the ease of a shopping bag and it was made with big box stores in mind. Ideal for Costco, Sam's Club, and more since buying in bulk means large packaging and our Extra Large Insulated Box Bag was custom made following the various sizes of Costco's large packages of seafood, fish, steaks, ribs, chicken, etc. and fresh, pre-packaged, meals. 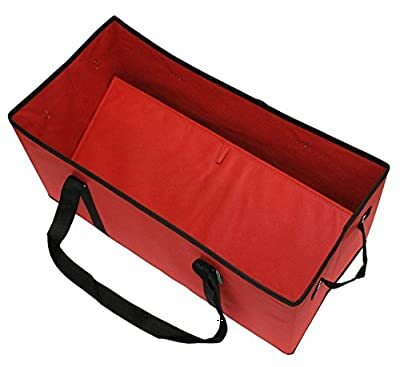 So whether it's for a trip to the grocery store or big box warehouse store, or to the beach or a picnic, these are your go-to boxes.The regular Extra Large Box Bag is even great for organizing supplies in your car trunk, home, garage, and more. there is no limit to the utility of these multipurpose items. Extremely high quality item compared to other similar items in the marketplace. And, these are one of the largest in this category - giving you more capacity for your items than ever before! You won't be disappointed and you certainly won't run out of ideas to use them! 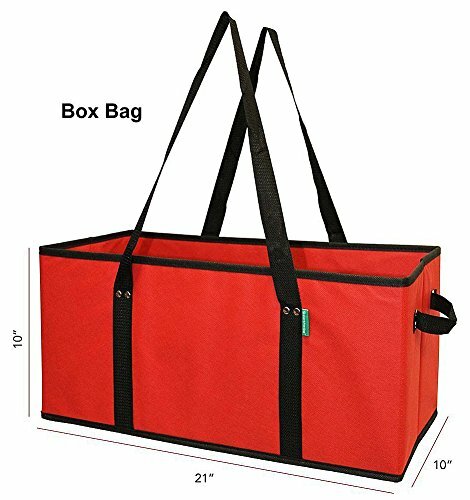 EXTRA LARGE CAPACITY - Bag Size: 21"w x 10"h x 10"d IDEAL FOR COSTCO, Sam's Club - buying in bulk means large packaging and our Extra Large Box Bag was custom made to fit the various sizes of large packages of seafood, fish, steaks, ribs, chicken, etc. and fresh, pre-packaged, meals. These bags were designed to fit perfectly into Costco shopping carts. 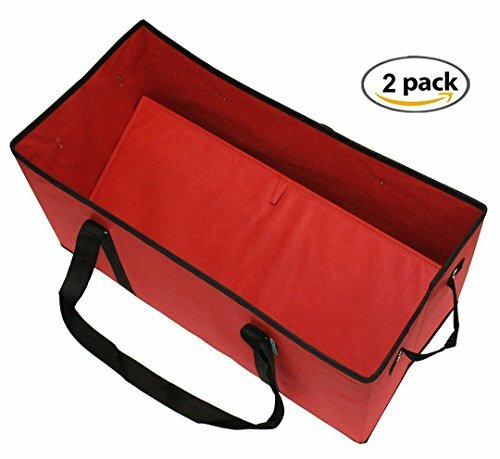 MULTI USE - for groceries, general shopping, going to the beach, picnics, boating, concert events, and more EASY STORAGE -These bags fold up flat for easy storage with reinforced bottom for extra durability. They sit flat when loaded so your groceries wont roll around in your car or trunk. Extra side handles make lifting heavier loads a breeze. EASY TO CARRY - Our box bags have short side handles in addition to the shoulder straps making it easier to carry a heavy load.